Diversity of opinion, outlook and background in the workplace is hugely beneficial for teams and organizations. And yet, despite their best efforts, hiring managers are unconsciously inclined to hire people similar to themselves. Whilst this is a natural human tendency, it causes problems when the aim is to diversify a group of people and can hamper a team’s effectiveness. Take, for example, gender. For optimal performance, research suggests that the ideal composition for a team is completely balanced in terms of gender, although this is often not the reality of every team. An example of this comes from a 2013 study of 43 teams, in which researchers found that teams with a 50:50 balance of men and women achieved greater productivity in terms of profit generated. In particular, another study found all-male teams tend to suffer from poor decision-making. As managers, women’s natural social sensitivity and more transformational leadership style increase the feeling of “psychological safety’”in a team, allowing people to feel understood and supported, in contrast to the more male “command and control” style of management. In our own research, Good&Co found that female managers tend to be more creative and open-minded, meaning they are more likely to consider all possible approaches to problems, including interpersonal and emotional factors that might be easily overlooked, due to their higher levels of empathy. We also found that female managers tended to be more methodical and dutiful than male managers, suggesting they may be slightly more level-headed at work. It’s not just about the diversity that we can see, though – less obvious elements such as sexual orientation, religion and neurodiversity should all be considered. And what about diversity of thought? Sometimes referred to as cognitive diversity or personality diversity, this reflects the fact that all people have different processing styles, perspectives and preferences. Being cognitively diverse enables a team to complete tasks and solve problems quicker, and means they are less likely to experience groupthink. If members of a team all have similar personalities and thinking styles to each other, efficiency suffers. For example, think of a team in which everyone is highly attentive to detail, but no one is very results-focused. They are likely to lose sight of the big picture and main aims of a project due to becoming too caught up in the finer details. A 2017 study demonstrated the positive effect of cognitive diversity on teams’ problem-solving abilities, finding that when a team contained members with different processing styles and perspectives, they were able to complete complex training exercises quicker than less cognitively diverse teams. The greater the diversity of thought within a team, the greater the potential for innovation, as a wider range of approaches are likely to be suggested and considered. Whilst larger teams are naturally more likely to have a greater variety of perspectives in them, the solution isn’t quite as simple as hiring more people to increase the size of the team; problems can arise when a team becomes too large. Good&Co’s research into team effectiveness found that teams of five people tend to be the most effective in terms of overall performance, reporting the least problems. In particular, teams of more than 10 people reported increased problems with communication and respect amongst team members. So how can psychometric tools help out? People sometimes worry about measuring candidates’ and team members’ personalities in order to hire for culture fit, because it sounds, on the surface, like it may lead to the hiring of only candidates who are similar to the existing team. However, this is not the case; culture fit is not about everyone being the same. In fact, the use of psychometric tools is likely to increase diversity because it removes the influence of unconscious human biases. Technology solutions can help to overcome bias by looking objectively at team culture and candidate personality. Whilst there are often concerns that psychometric tests might also be inherently biased against certain groups, well constructed assessments and on ongoing validation efforts can avoid such inadvertent biases. Arranging unconscious bias training for managers – even an awareness of our human biases can reduce them. If your organization accepts employee referrals, encourage referrals from diverse employees; take advantage of the fact that people are most likely to recommend others who share their background. Including women on interview panels, in order to appeal more to female candidates and not be off-putting. Making an effort to have a diverse range of senior employees, to set an example and to increase the chance of attracting candidates from minority backgrounds. Avoiding too much male-oriented language on job adverts, for example, “dominant, fearless” – this can deter female applicants. Offering flexible working hours, which is often especially attractive to female candidates and those from minority backgrounds. When it comes down to it, for diversity to really help an organization, the effort shouldn’t stop after hiring. For those new hires to want to stick around, team members need to acknowledge, understand and appreciate each other’s differences and thinking styles, embracing them. 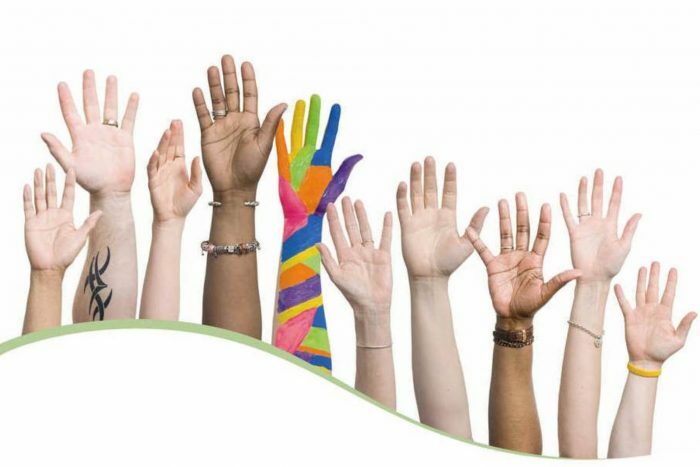 Implementing diversity training for all employees is one way to ensure that they understand the importance of increasing diversity and creating a more inclusive culture. If a team’s culture does not change and adapt, new employees from minority groups will not feel accepted and the organization will have trouble retaining its diverse workforce. Emily Jarrett MSc, Business Psychologist with interests primarily in employee well-being and mental health, career counselling and coaching.